The photo above is of the books that I managed to buy on our brief jaunt up to the Highlands with Peggy. Some were bought at the Pitlochry railway station, a local charity has turned an old waiting room into a bookshop, and they have some great books at very reasonable prices. There’s also another second-hand bookshop just off the high street, well worth a look. I think it’s called Priory Books. I bought two there I believe. 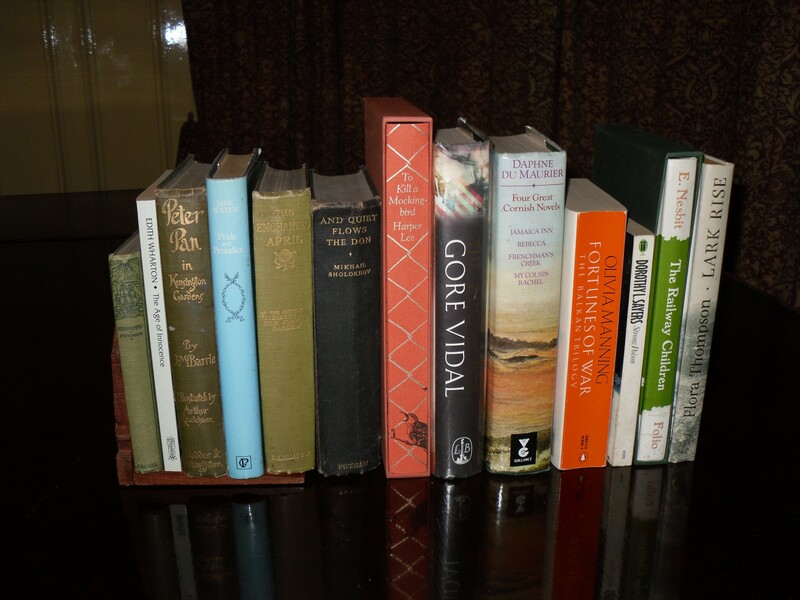 Others I bought in Fort William in a second-hand bookshop just off the main street. It’s not that big but I’m always lucky there. A few of these books jumped right to the top of my queue so I’ve already read three of them, but only managed to blog about one of them so far – Candleshoe. A decent haul I think but it is a wee bit worrying that within less than two weeks I bought 24 books, apart from anything else I need another bookcase now, or maybe I should perform a book cull, but I’ve done that before and ended up regretting getting rid of some books. I might have a six months cooling off period for them in the garage and see how I feel about them after that. Have you bought many books recently? I’ve made a bit of a study of classic children’s literature over the years and although I don’t count myself an expert on the subject, I felt I just had to write to The Guardian Review about last week’s article by A.S. Byatt. So I was really pleased to see that they had actually published the letter yesterday and illustrated it with a cartoon. For some reason the Review letters aren’t on the website so I can’t link to them. I took a photo of the page instead. Here’s a close-up of my letter and their cartoon which was by Tom Gauld. In general it was quite a good article but I do think that Byatt might have made some mention of the fact that so many of the authors she mentioned were actually Scottish. I find that people from England tend to take it for granted that the great children’s classics were written by English writers. However, J.M. Barrie, George MacDonald, R.L. Stevenson, Kenneth Grahame and A.A. Milne were all Scottish. In the case of Milne, I believe he was born in England but brought up by Scottish parents and had a grandfather who was a church of Scotland minister. Just thought I’d mention it. I’ve been reading about all these book challenges that are going on and thought that it was about time that I signed up for one myself. The Flashback Challenge seems like a great excuse to re-read ‘old friends’ and I’m really enthusiastic about it, so I’m planning to read 12 books again, one for each month of the year – and here they are. As I’ve never participated in a book challenge before, I’m just presuming that the idea is you write a review in your blog. Anyway, that’s what I’ll be doing with these books, although not particularly in this order. 1. The Enchanted April – by Elizabeth von Arnim. 2. Lark Rise – Flora Thompson. 3. And Quiet Flows the Don- Mikhail Sholokhov. 4. The Fortunes of War – Olivia Manning. 5. Strong Poison – Dorothy L. Sayers. 6. The Railway Children – E. Nesbit. 8. To Kill a Mockingbird – Harper Lee. 10. Peter Pan – J.M. Barrie. 11. Kidnapped – R.L. Stevenson. 12. 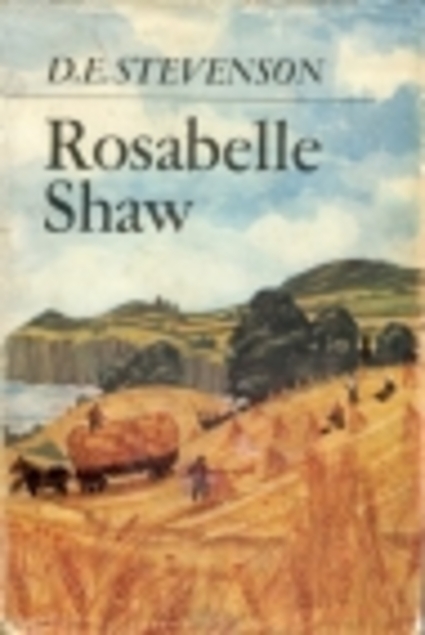 Rebecca – Daphne du Maurier.